Opera Chic: Licitra @ the Met: Uno alla volta, per carità! Licitra @ the Met: Uno alla volta, per carità! 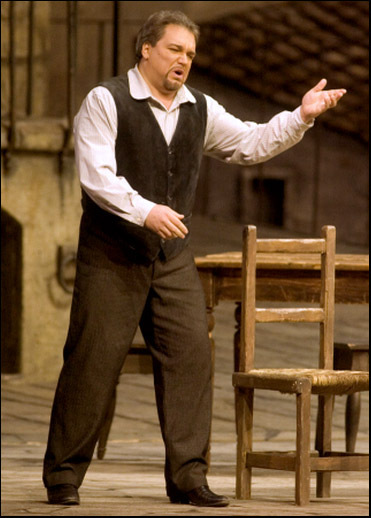 In a "classic double bill" (yahokrite), Salvatore Licitra was both Turiddu and Canio at the Met the other night. 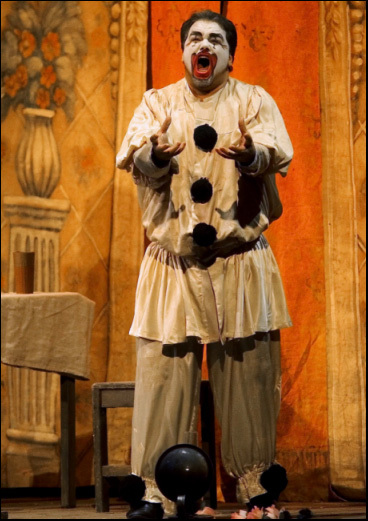 Opera Chic is ambivalent about Licitra (say "lee-CHEE- tra," like cheese rofl): his Cavaradossi at La Scala in 2000 made her think omg we have finally, oh Lord yes, FINALLY found another Di Stefano omg. Then, unfortunately, he lost his way, and as of today he's just a pro with some great qualities who didn't study enough. But we'll always have <strike>Paris</strike> that Tosca. The New York Times reports here.